We are a Jowar Seed Supplier. We export high quality Indian Jowar that is extensively used as an animal and cattle feed. Possessing excellent properties, the Jowar Grain offered by us is considered as an ideal fodder that is beneficial for the heath of animals. We are regarded as one of the prime Jowar Exporters and Jowar Suppliers in India and provide availability at reasonable prices. We offer fresh Jowar Grain. 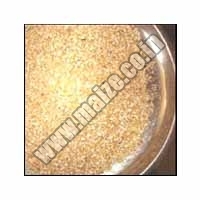 Customers can place both medium and large quantity order for Indian Jowar with us. We ensure timely delivery of Jower! We also handle urgent requirements of customers for Organic Jowar, efficiently. Customers can procure Natural Jowar from us at market leading prices. We have vast infrastructure that comprises of well-equipped warehouses and testing units. We also have wide networks. This is how we are able to meet even the urgent requirements of customers for Jower. The Jower supplied by us is thoroughly checked in the testing units before being consigned.